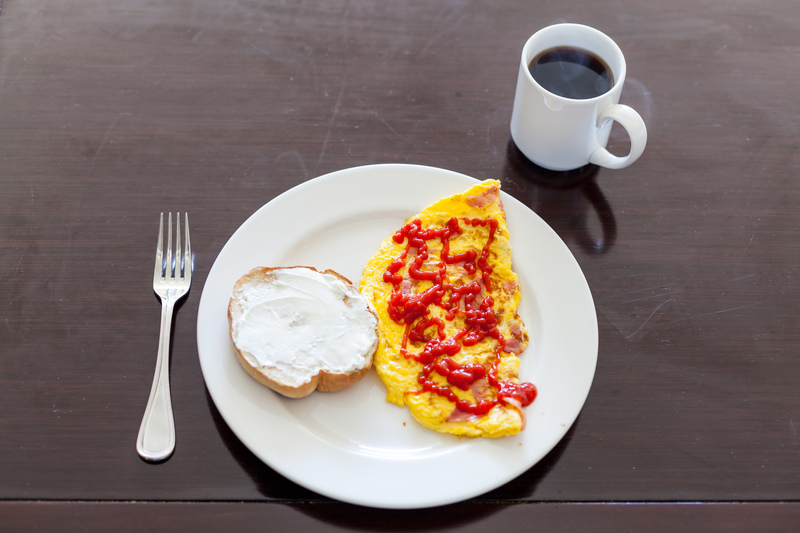 Breakfast: The Least Important Meal of the Day | The Gettysburgian. “Part of a complete breakfast!” Every commercial for sugary, high-GI cereal or frozen pastries uses the saying religiously, showing the advertised product on a table alongside the obligatory glass of orange juice and a fruit. Standard advice for taking a test is to make sure you have a nice big breakfast that morning. We routinely blame feelings of tiredness or apathy throughout the day on not having had breakfast that morning. But what if this meal was really not that important? Today I will be asserting to you that breakfast is bar none the least important meal of the day. If you are someone who is never really too hungry for it in the mornings, my advice without hesitation is this: skip it. If you are someone who enjoys breakfast but is looking to cut back a bit, definitely see if you can push that first meal off until later in the day. But why is this? Surely you do not want your blood glucose to drop or your body to start breaking down your muscles for protein, right? Rest assured, not only will neither of these outcomes take place, you will in fact likely notice some positive benefits from skipping it. First of all, we need to consider the environments our ancient ancestors lived in. As you may know, evolutionary changes in the brain occur on a super long-term timeline, and so even the span of ten thousand years is not enough to elicit any real adaptations. So, for all intents and purposes, we have the same brain as our cavemen and cavewomen and ancestors. That brain had absolutely no guarantee that food would be waiting for consumption in the morning. In fact, having a standardly timed “breakfast” would be a very rare occasion. On most days, hunters would wake up and begin their days hunting until late in the day, when they finally got the chance to eat. And it goes without saying the women and children would have to wait for this food as well. For this reason, we wake up naturally alert. Sure, the initial groggy feeling may mask that, but once we alleviate the overnight dehydration (grab a glass of cold water) and get our minds in the right place (I recommend morning meditation), it really does become mind over matter. Hormones like epinephrine/norepinephrine, glucagon, growth hormone, and cortisol spike right around 4:00 a.m., helping the liver break down its stored glycogen and release glucose to the blood. We have more than enough glucose to get us through most of the day, and even if we theoretically were to prolong the fast even further, we can quickly turn to stored fat for energy, and then eventually to ketones. But if we are only talking about skipping breakfast, that is a relative breeze. The body has plenty of glucose in supply to keep us going. A common concern about purposefully skipping meals is that our body will eat into lean mass to take body proteins and break them down for glucose. This is really nothing short of ridiculous. First, we know it would make no evolutionary sense that the body would jump into so-called “starvation mode” because we went a few hours without eating, as the aforementioned depiction of hunter-gatherer life hopefully pointed out. Second, studies routinely show this not only does not happen, we actually see preservation of lean mass on alternate-day fasting (ADF) regimens. A review in 2011 done at the University of Illinois at Chicago concluded that less lean mass is lost in intermittent fasting approaches (generally, ADF) as in traditional caloric restriction. While admittedly anecdotal, the theoretical explanation for this is physiologically sound. When we are constantly eating throughout the day, assuming there is some carbohydrate or protein in those meals, we are constantly spiking insulin. This becomes even more of a problem if we are adding snacks in throughout the day. So an intermittent fasting (read: breakfast-skipping) approach is poised to re-sensitize our muscle and fat cells to incoming insulin. When insulin is not constantly being spiked, no insulin resistance can rear its ugly head. Another great way to elicit more insulin sensitivity would be to train fasted. If you were to push your first meal of the day off until 2:00 p.m., for example, you could train (resistance training or cardio) around 11:00 a.m. The carbohydrates in that 2:00 p.m. meal would be preferentially stored as muscle glycogen, to replenish what you have depleted in that training session, to the degree that you did deplete it (low-intensity cardio for 30 minutes is going to do very little to deplete muscle glycogen). If you are an absolutely die-hard breakfast fan, do not feel obligated to skip it. However, if it is not a meal you are huge about in the first place, definitely feel free to go without it. Assess how you feel and progress from there. Many people, myself included, find that morning hunger pangs go away if you just ride those waves out, and then I feel more alert throughout the day. Give it a try!